Disk Recovery is required when your computer hard disk stops working correctly. This may be due a physical or logical problem, but whatever the cause of failure your data can be recovered. If you encounter a problem with your hard drive, such as disk not detected in bios or the disk starts to make clicking sounds, then safely power down the disk to prevent further data loss. 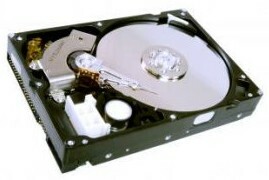 The next step is speaking to a data recovery specialist, who understands disk recovery, for advice about data recovery. There are many more causes of disk failure which require disk recovery. A professional diagnosis of your hard disk, by a data recovery specialist, will confirm the exact problem and all recoverable data. Disk recovery must be carried out in laboratory conditions for the best possible chance of recovering your data. Any compromise may put your data at risk. Always speak to a data recovery engineer to confirm the processes and engineering procedures used to recover your data.